The tangible product – The belt it self are the core element BOSSWIK sells to those is selling for clients, a consistent high functionality and a design of quality. High functionality quality obtains as a results of generations experience in choosing first class raw materials. A obvious focus on the important of how a belt is composed by buckle and strap. The design of quality are made in harmony as a combination of leather tanned by the best European skins from tanneries with long traditions and buckles from buckles factories with own designers. Designers who are specialized in designing and constructing of belts and buckles. 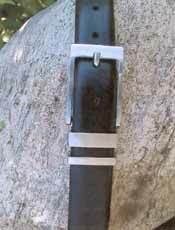 The strap, the body of the belts and the material it contains. 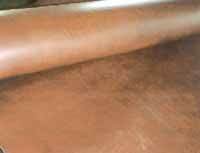 When we receive leather/skins from the tanneries to make one layer belts, we only receives 1. class quality. At the same time we only use skins there are vegetables tanned. Full grain leather is the top of the skin from the ox, where the hair has been. Split leather appears when the tanner split the skin from the ox. Split leather is the bottom of the skin. The part that turns against the flesh.